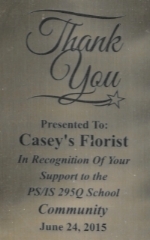 Casey's Florist & Decorations is dedicated to providing exceptional customer service to clients across Long Island and New York. With over 25 years of experience we have the knowledge and expertise to create memorable moments to last a lifetime. We specialize in Weddings, Sweet Sixteens, Baby Showers, Corporate Events and more! Our premium flowers are guaranteed fresh and imported internationally from across the globe. Our packages are the most affordable in the tri-state area and all across Long Island. From large weddings to smaller intimate events, there is no event too large or small for us. We invite you to schedule a FREE consultation to meet our team of floral experts to bring your dream event to life!